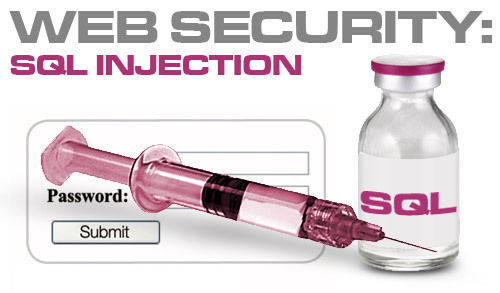 SQL injection is a technique often used to attack databases through a website. This is done by including portions of SQL statements in a web form entry field in an attempt to get the website to pass a newly formed rogue SQL command to the database (e.g. dump the database contents to the attacker). SQL injection is a code injection technique that exploits a security vulnerability in a website's software. The vulnerability happens when user input is either incorrectly filtered for string literal escape characters embedded in SQL statements or user input is not strongly typed and unexpectedly executed. SQL commands are thus injected from the web form into the database of an application (like queries) to change the database content or dump the database information like credit card or passwords to the attacker. SQL injection is mostly known as an attack vector for websites but can be used to attack any type of SQL database. SQL Injection is a type of code injection and is a very common way to attack a website (or application which uses a database) which uses SQL statements containing content supplied from user input which is not properly sanitised. It can be used to dump the contents of a database or to modify the contents inside of one.